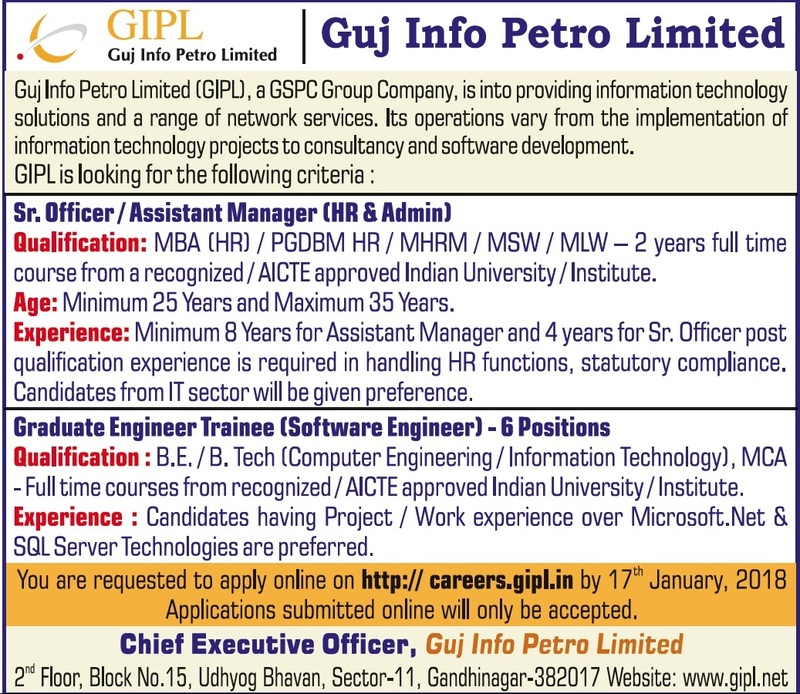 Guj Info Petro Limited (GIPL) has been Published Recruitment Notification for below Mentioned Post 2018. 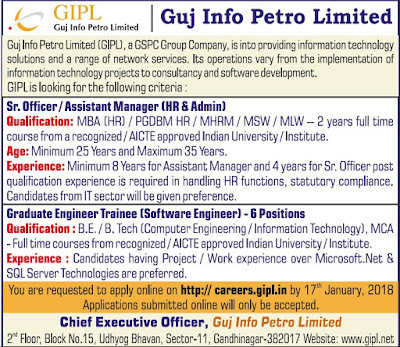 Other Details Like Age Limit, Education Qualification, Selection Process, Application Fee and How to Apply are given Below. Selection Process: Candidates Selection wiil be Based an on Interview.